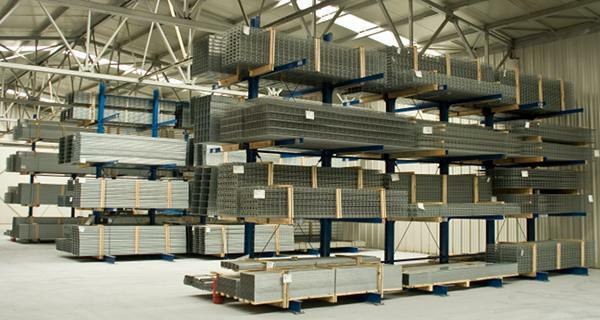 The Storage Equipment Manufacturer's Association has updated and published its Code of Practice for the Design and Use of Cantilever Racking Systems. Colin Hinton, member of the SEMA Technical Committee says: “The new Cantilever Code supersedes the earlier version dated 2004 as clearances and serviceability limits have now been revised. “The clearances now include horizontal, lateral and vertical clearances in a bay relating to the placement of unit loads including the clearances required on sloping floors. The serviceability limits have been clarified in both the down-aisle and cross-aisle directions. SEMA also runs a Cantilever Rack Safety Awareness Course aimed primarily at end users. It is designed to highlight those key areas that the end user should inspect on a regular basis in order to maintain their cantilever racking equipment in a safe working condition. SEMA is the British Trade Association of the Storage Equipment Industry. It is committed to promoting and extending the safe design, installation and use of storage equipment manufactured and supplied by its members. SEMA’s Cantilever Code 2016 is available at a cost of £38. Email pporter@sema.org.uk or call 0121 6016718.